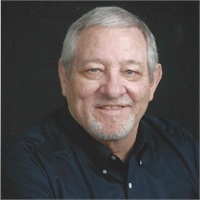 Michael Anderson | Investment Concepts & Financial Planning Services, Inc.
After attending Central State University in Edmond, Oklahoma from 1965 to 1967, Michael Anderson started his career in Life and health insurance industry in 1971 as an independent insurance advisor. In 1994, Michael Joined Investment Concepts in Oklahoma City and became securities licensed through FFP Securities, Inc., a St. Louis Firm. Michael is an independent Investment Advisor Representative and is a Registered Representative of First Allied Securities, Inc., a San Diego based broker-dealer. These affiliations allow him to impartially offer both investment advisory services as a fee based planner and investment securities products. Michael Anderson has been married to Sandra Anderson since 1983. He has six children, 14 grandchildren and six great grandchildren. Michael Anderson enjoys spending time with his family, attends Wilmont Baptist Church, and enjoys playing golf occasionally.